When I left the house Tuesday morning, we still had a couple feet of snow blanketing the yard. Several hours later I stepped off my plane into the sticky, warm embrace of Charlotte, North Carolina to catch my connection to Virginia. 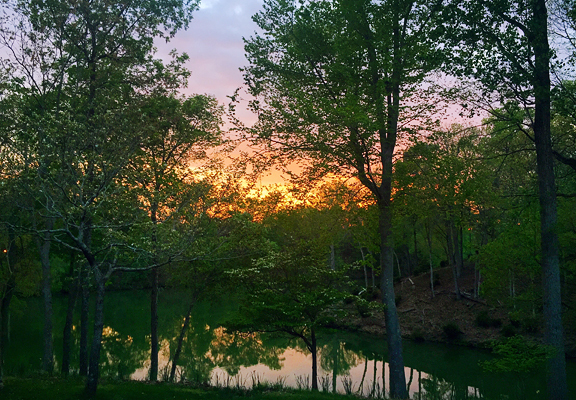 April is about as late as I am willing to visit the southeast because it’s usually after my local ski resorts close, but before Virginia weather becomes unbearably and oppressively hot and humid. 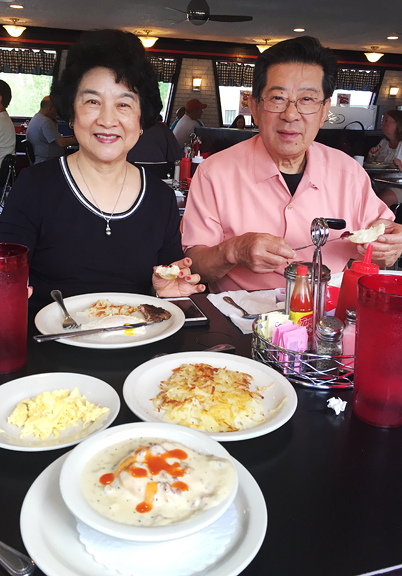 Jeremy and I spent a few days with my parents – a belated celebration of their 50th wedding anniversary. Really though, any opportunity for us to spend time together is a celebration of sorts. We dined out, we dined in, we drank many fine bottles of wine, everyone had a lovely time. 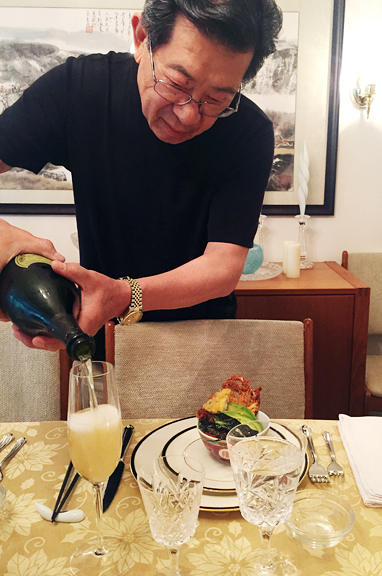 It’s also a chance for me to observe how my parents live their lives when we are apart. Obviously, they don’t indulge in the wine and food the way they do when we visit, but I like knowing that they are surrounded by caring friends and neighbors, that they get regular exercise, and that they are generally happy and in good health. As you can see, spring has full on sprung in Williamsburg and I imagine it is that way around most parts of the country. Jeremy and I did a quick 5-mile run that didn’t involve clambering over snow or scrambling up rocky trails (crazy, I know) and gave us green-out because everything is so leafy and springy. Dad took us night-fishing and we caught and released a couple of channel cats (catfish). We met with neighbors over cocktails and shared a dinner with a longtime family friend. I cooked red wine braised short ribs for my parents. And we watched The Revenant, which made me homesick for the American West. Also, I couldn’t wait to get back to my little pup pup who was living it up at doggy camp with all of her pals. Around this time last year, we were prepping our house and our lives to welcome little Neva. We knew full well that our freedom was limited, so we got our last spring backcountry ski trips and trail runs in, we enjoyed some meals out, and I shot a lot of recipes. But one recipe in particular was begging to be made. If you know anything about me, you know that I am crazy for huckleberries. [The thought had occurred to me to change this blog to Use Real Huckleberries, but I am still quite devoted to butter.] 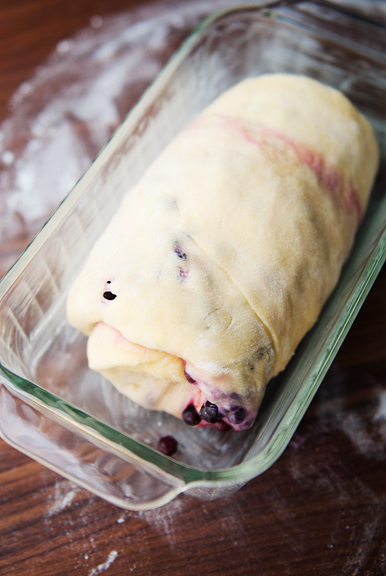 One day, a search for “huckleberry brioche” brought me to a million blueberry brioche recipes. How is that? 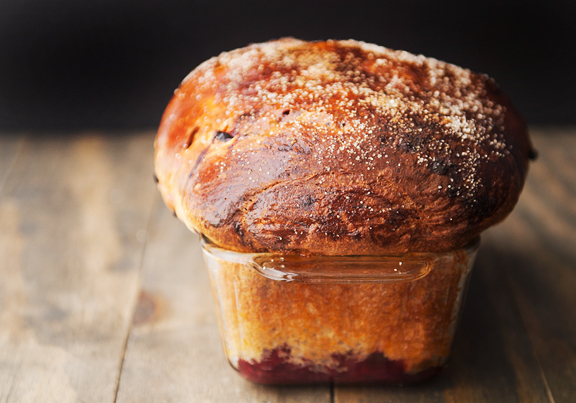 The blueberry brioche recipe came from a cookbook by the name of Huckleberry, which was written by the owner of a Santa Monica bakery, Huckleberry. Well, I didn’t want to make blueberry brioche, but blueberries are often substituted for huckleberries, which are harder to come by (but so much better than blueberries), so why not substitute hucks for blues? Why not! Of course, if you don’t have hucks – you can always make the recipe as it was originally intended. There was a major snafu from the beginning and that was because there is an error in the original recipe. The flours were listed by weight and volume. The volumes were correct, but the weights were not. Unfortunately, I mostly go by weight when possible, so my dough looked really dry and wrong. I stopped before adding the butter and looked online for clues. Apparently, the cookbook has a number of errors that people were (rightfully) upset about. The weights for the flours were doubled in the blueberry brioche recipe. Luckily, I caught it in time to double the rest of the ingredients. I wound up with two loaves instead of wasting my precious ingredients. Still, I would have liked to dope slap the editor. Fresh berries are going to give you the best results. In April, my only choice was to use frozen huckleberries, but my reasoning went like this: the fresh berries are placed in the freezer while the dough is being prepared, so the berries are partially frozen when you use them. My berries were just MORE frozen. See? I’ll tell you why it makes a difference and how to counter the effects a few paragraphs down. If you can use fresh, use fresh – but frozen will work in a pinch. Brioche requires some patience. Add the butter to the dough a little at a time. If you add it all at once, it becomes a big slippery mess. 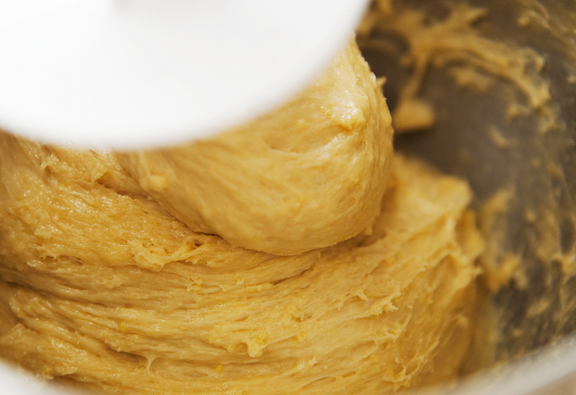 If you add the butter incrementally while the dough is kneading, it will eventually be incorporated and your resulting dough will be glossy and smooth and luscious. 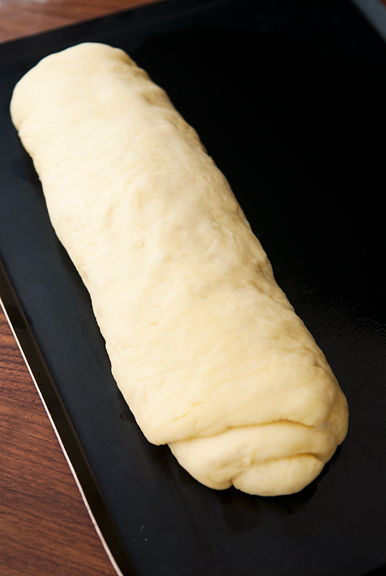 Roll the brioche dough out into a long rectangle, about 10 by 16 inches. Turn the dough so that one of the short ends is right in front of you and the other short edge is the farthest from you. 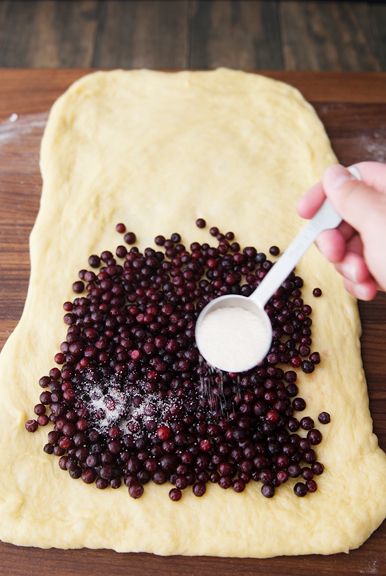 Distribute the berries over half of the dough, leaving an inch of margin on the sides. 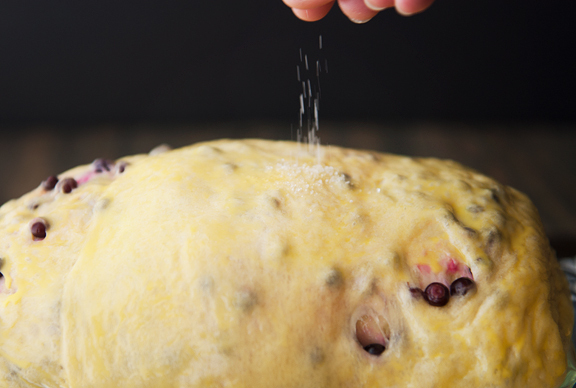 Sprinkle sugar and lemon zest over the berries, then roll the dough up like a rug from the short edge nearest the berries. 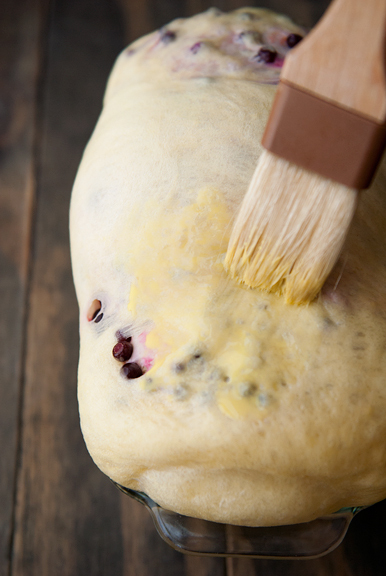 Cover the dough log with plastic wrap and let it rest in the refrigerator for at least an hour up to overnight. I let mine go in overnight to help the brioche develop its flavors. 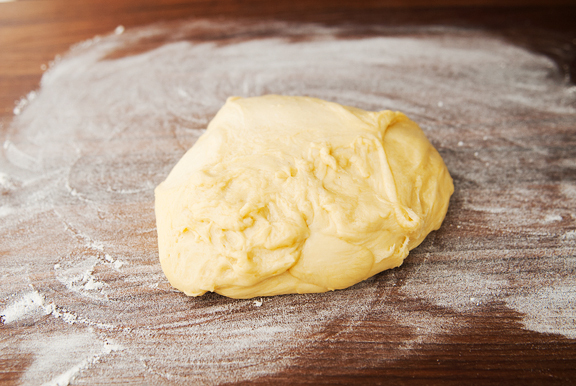 When the dough is done chilling, flatten it to a rectangle about 6 inches by 12 inches. Sprinkle sugar over the dough and roll it up tightly from the short end. Set the bundle into a greased loaf pan to let it rise someplace warm. It should double in size in two or three hours. 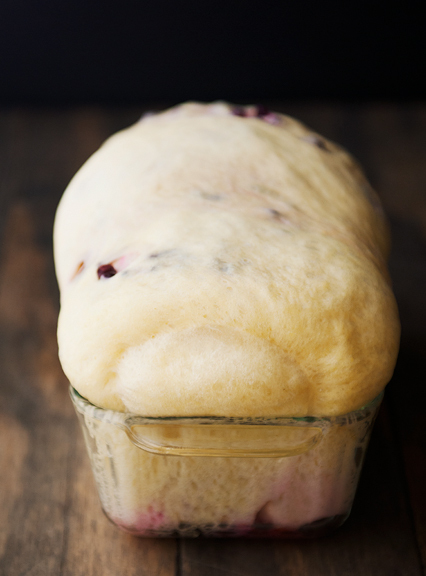 At this stage, my frozen berries began to weep and a purple huckleberry liquid began to pool in two corners of my loaf pan. I didn’t want the dough to become waterlogged, so I tucked the tip of my baster in the corners and sucked up the excess liquid. More accumulated over the rise time, but I kept up with extracting the melt. I’m fairly certain that using fresh berries would not have resulted in so much liquid, but in the end, it was fine. When the loaf is ready, mix the egg wash and brush it over the loaf. Don’t allow the wash to pool along the edges where the dough and pan meet. Wipe away any excess. Sprinkle sugar over the loaf one last time and bake until deep golden on top. Give the loaf ten minutes to cool before removing it from the pan, then let it cool on a rack. Honestly, I’d be impressed with anyone who could resist tearing into the brioche while it is still warm. 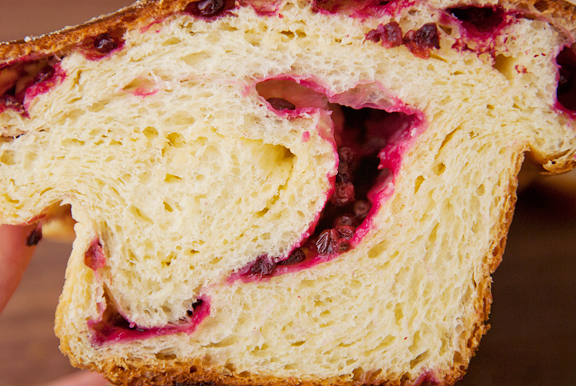 The berries will be quite hot, but once sliced, the brioche cools quickly. This was pretty much the best thing ever – my favorite berry combined with my favorite bread. And because I had to make two loaves, I gave one to my neighbors who also thought it was the best thing ever. 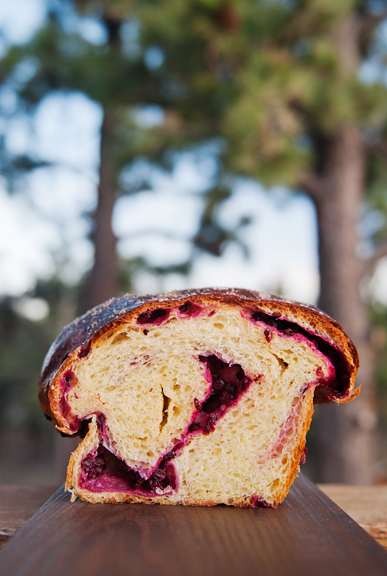 The huckleberry brioche is amazing straight up, but also delicious toasted with butter or made into French toast. So if you can’t find hucks, use blueberries per the original recipe. It just seems right to use huckleberries since the cookbook and bakery are named “Huckleberry”. Day 1: Arrange the berries in a single layer on a baking sheet and place them in the freezer. 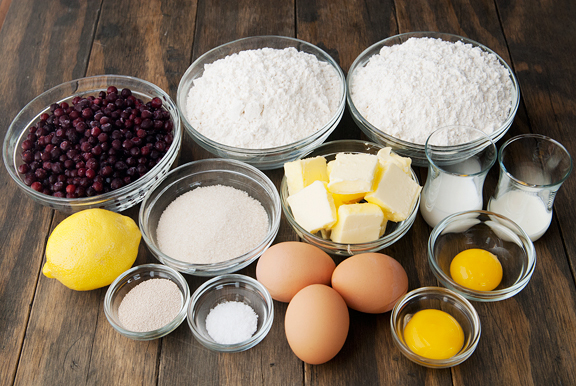 Warm the milk to 100°F and pour into the bowl of a stand mixer fitted with a dough hook. Whisk the yeast into the warm milk. 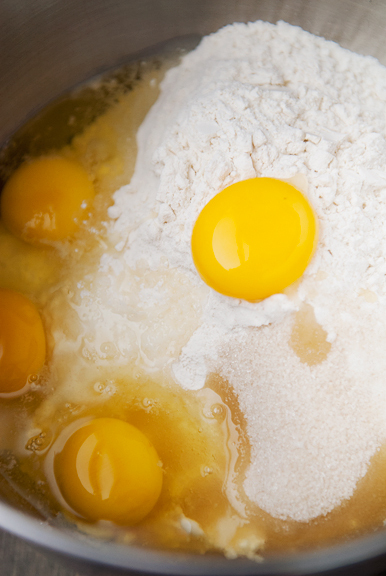 Add both flours, 2 1/2 tablespoons of sugar, salt, eggs, and one egg yolk. Run the dough hook on low speed for a minute or two until the mixture resembles a dough. Turn the mixer up to medium-low speed for 6 minutes, pushing the dough down once a minute until the dough pulls away from the sides of the bowl. 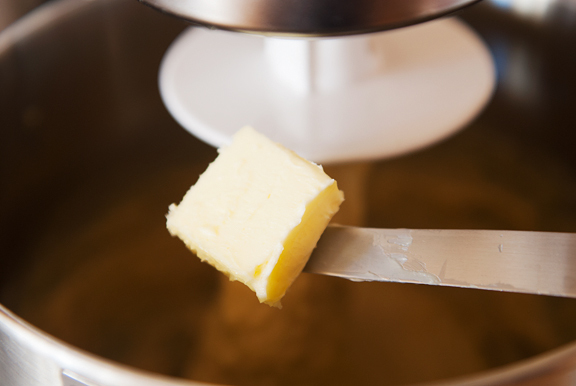 Reduce the mixer to low speed and add the butter, a tablespoon at a time, over a period of 2 minutes. Scrape the dough down from the bowl and the hook after the first minute. 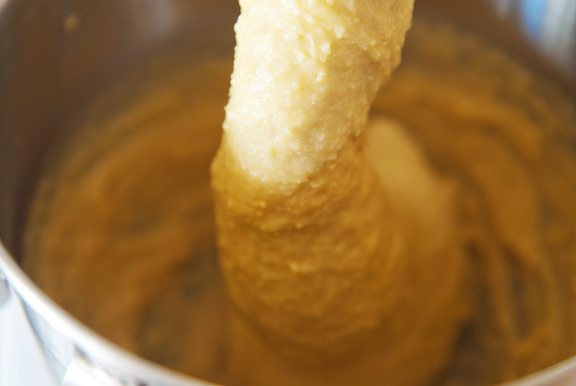 When all of the butter is blended into the dough, increase the mixer speed to medium-high and knead for 5-6 minutes until the dough comes together again. 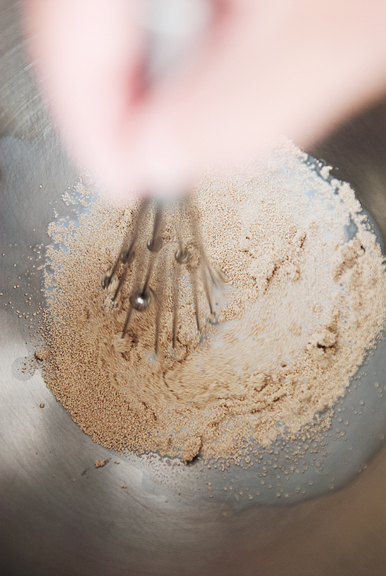 Remove the dough from the bowl and set it on a lightly-floured work surface. Press the dough into a rectangle about 10×16 inches and position one of the short edges nearest to you. 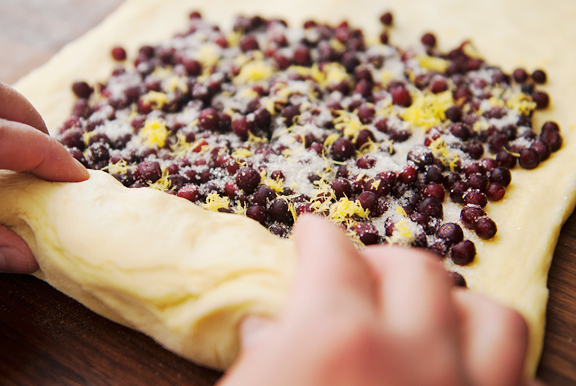 Spread the huckleberries or blueberries across the top half of the dough, leaving a margin of an inch from the edges. 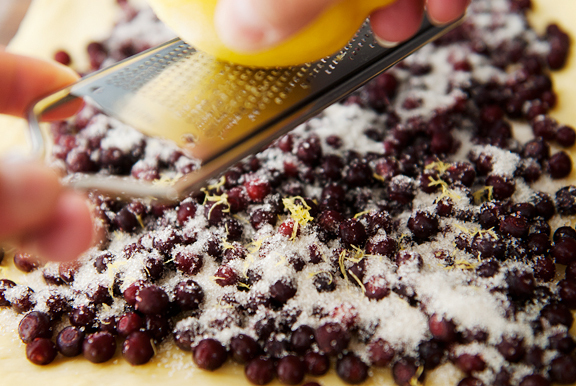 Sprinkle 2 tablespoons of sugar and the lemon zest evenly over the berries. 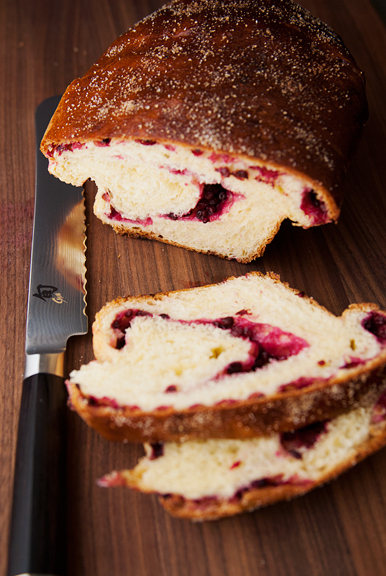 From the berry edge, roll the dough down toward you, forming a log. Set the dough roll on a greased sheet pan. Cover the dough in plastic wrap and refrigerate for at least an hour, but preferably overnight. Day 2: Grease a 9×5 inch loaf pan. Press the dough into a 12×6 inch rectangle. 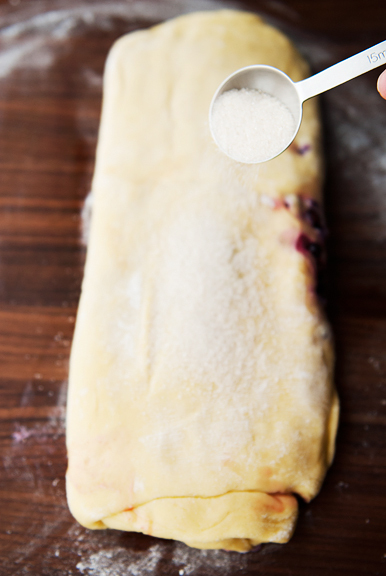 Sprinkle the remaining 2 tablespoons of sugar over the rectangle. 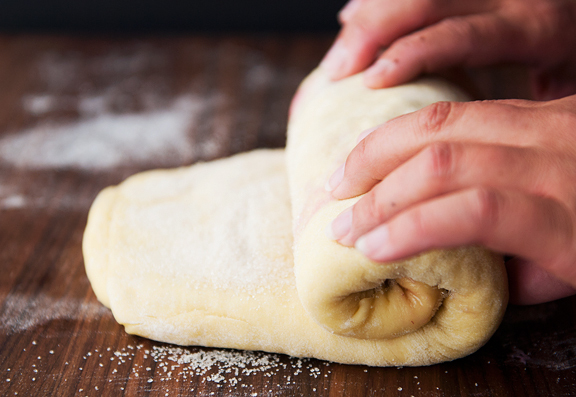 Starting with the short edge, roll the dough tightly so that it is 6 inches wide (more or less). Set the dough in the pan and loosely cover it with plastic wrap. Let the dough rise in a warm place until it has doubled in size (2-3 hours). Preheat the oven to 350°F. 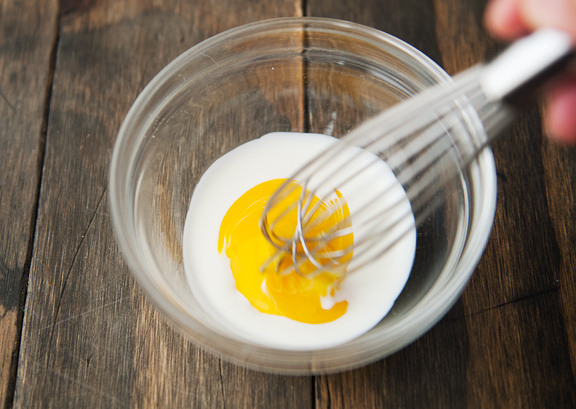 Stir the cream and egg yolk together to make the egg wash. Brush the the dough with the egg wash, but don’t let it pool around the edges. Sprinkle sugar over the top of the loaf and bake until golden, about 40-45 minutes. Cool for 15 minutes in the pan, then move the brioche to a cooling rack. Makes 1 loaf. the color of the berries when they’re baked is amazing! i went by huckleberry last summer and had a slice of their blueberry cake, which was delicious, but it would have made much more sense if they used huckleberries in it! (which is a very long way of saying that i think it makes perfect sense that you turned their blueberry brioche into a huckleberry one). I thought I recognized Shorty’s Diner! (We live in Williamsburg, too.) Your blog is such a pleasure, and wow, that brioche looks wonderful. It’s going on the to-be-baked list. Thanks for sharing! As above, reading your blog post with a cup of coffee and a slice of that brioche would be magic at this moment!! Glad you had a nice visit with your parents. 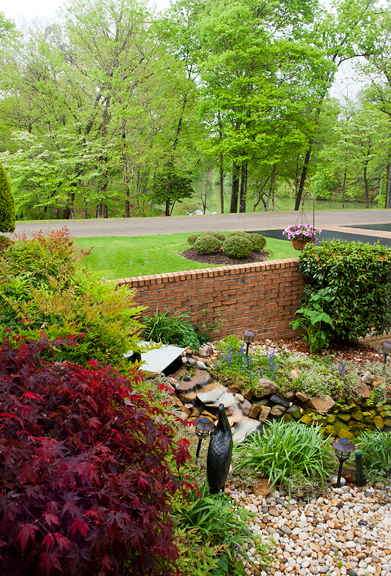 Looks like a beautiful home. I’ll bet you were missing your little Neva pup!! Oh, thanks for sharing the error of the book, I was just about to make the brioche and would have stumbled over it! Looks as good as the picture of the book! Love, love, love Williamsburg. Happy 50th to your parents! trolleira – you’re welcome! I can’t believe they have been so bad about getting the word out (although friends of mine who got the book either followed the error or knew about it ahead of time). Wow! Interesting about the cookbook. I live in SM and Huckleberry is a local favorite. It’s a bummer there were so many errors. I’m up in Montana every summer at least and always get a gallon or more of hucks, using some fresh and freezing the rest for later. Because the berries are so juicy after being frozen, I thaw them in a strainer first. If I don’t need any of the juice for whatever recipe I’m making, I’ll turn it into a syrup. Do you think this would be OK for the brioche and somewhat stop the weeping? I’m going to try this next time I’m up there with my frozen berries! 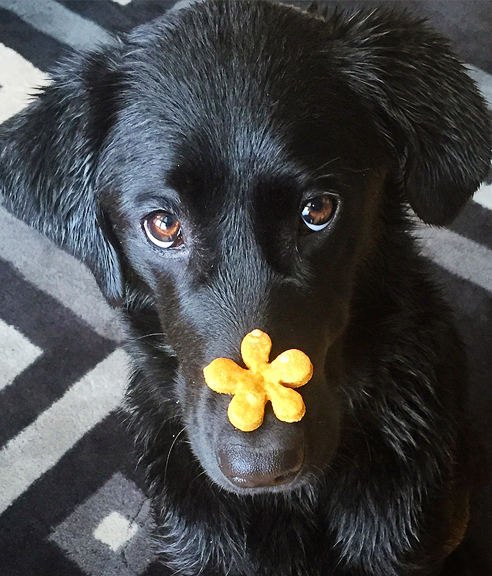 We’re always looking for new ways with huckleberries.